James Howard Ogden Jr. of Vilonia, passed away at his home on November 27, 2018, at the age of 60. James was born on November 29, 1957, in Conway, Arkansas to James H. and Mary (Nix) Ogden. He was a Christian and a member of Vilonia First Assembly. 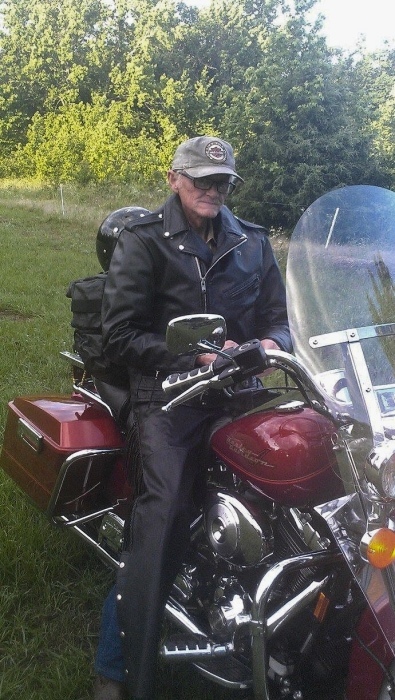 He enjoyed fishing, gardening, and riding motorcycles. James was a great husband, father, pappy, brother, and friend. He always went out of his way to help others that were in need. He was the rock of the family. He leaves to cherish his memory, his wife of nineteen years, Brenda Ogden of the home; three sons, William Green of Conway, AR; Josh Ogden of Michigan; Bryan Gajeski of Springdale, AR; four daughters, April Alford of Mississippi; Brittney Branscum of Mayflower, AR; Tosha Ogden of Michigan; Trisha Simonds of Michigan; one brother, Burt Ogden of Conway, AR; three sisters, Benita Burge of Dallas, Texas; Carolyn Milner of Jusup, Georgia; Marie Long of Sam Rayburn, Texas; sixteen grandchildren, his mothers husband of whom she was married for more than forty years, Jeff Lyda, as well as a host of extended family and friends. There will be a visitation at Vilonia First Assembly 851 US- 64 on Friday, November 30, 2018, from 2:00 - 4:00 PM. Bro. Jim King will offer a few words of encouragement at 3:00 PM. In lieu of flowers please make donations to First Security Bank Vilonia in c/o Brenda Ogden.